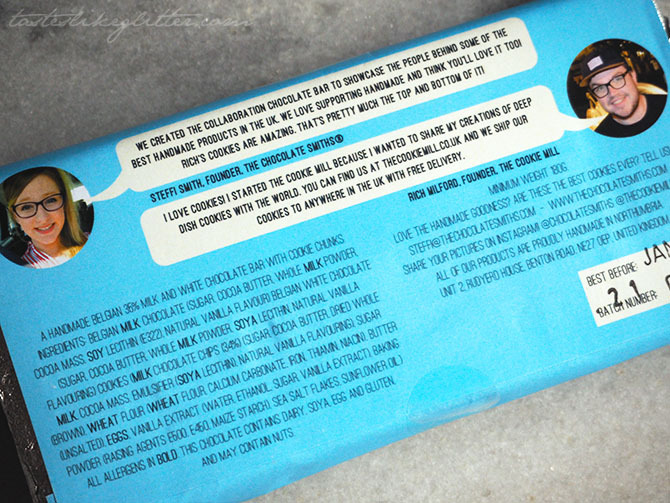 The Chocolate Smiths x The Cookie Mill Collaboration Bar. I feel a little bad posting about this because you can't actually buy it anymore but not quite bad enough to not post it at all because I promise you - it's a game changer! 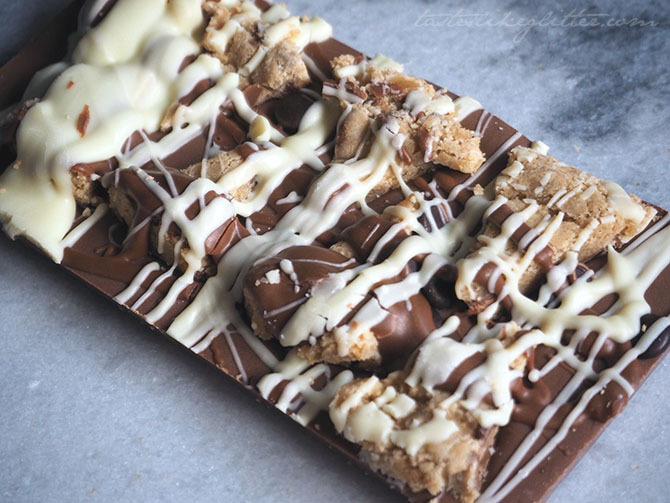 If you haven't heard of The Chocolate Smiths, they're a chocolate company that started in Northumberland in 2014 and are now currently based in Newcastle Upon Tyne. 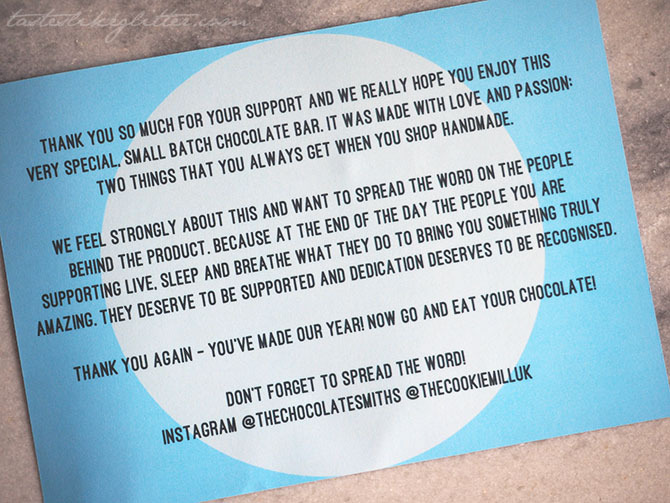 All their chocolates are hand made and hand wrapped, and you quite often get to see this over on their Instagram stories. They make all sorts of wonderful flavours including their new Valentine's bar that's filled with raspberry caramel, along with some more bizarre ones. Anyone for curry sauce and chips? 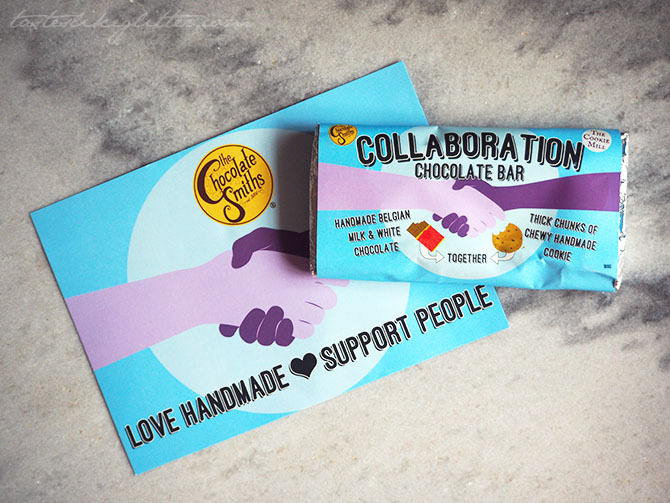 The Chocolate Smiths are releasing these special bars quarterly, to help showcase handmade goodies from local businesses. So watch out for their next collab because it's sure to be a sellout. 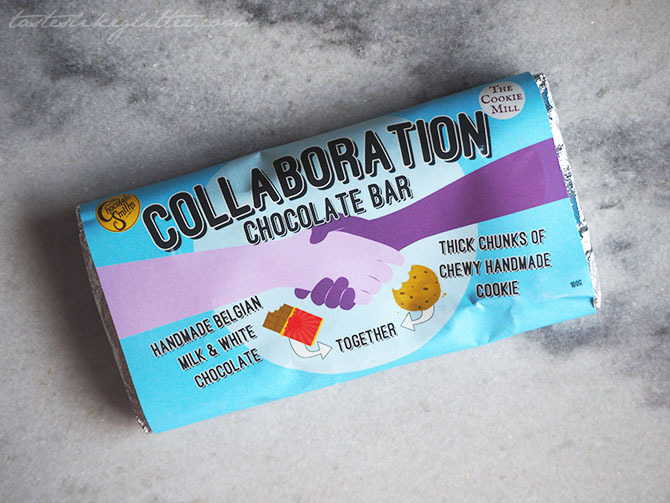 For their first bar, they've teamed up with The Cookie Mill to make something truly special. There were only 100 of these bars set to be released on my birthday but with all the celebrating I completely forgot about it - heartbroken! The day after they decided to release 50 more so I was refreshing that website at 4:50 waiting for them to go live so I could snag me one before they sold out, it only took all of 30 seconds for them to do. Madness. 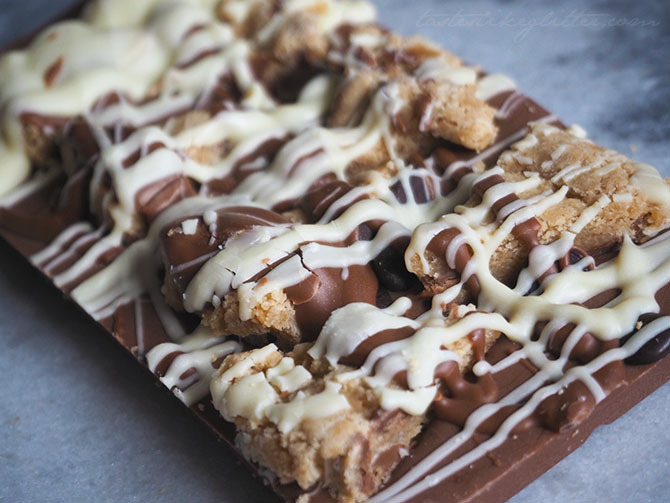 The base of the bar is standard milk chocolate which is then loaded with freshly baked, deep dish, chewy chocolate chip cookie chunks. 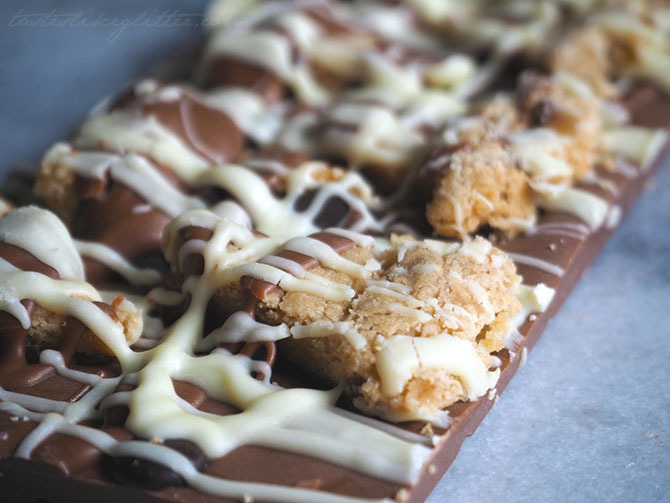 In case that wasn't enough, it's then finished off with a generous drizzle of milk, white and dark chocolates. On first thought, you might think this would be overly rich but the chocolate is so smooth and doesn't give you that burning sensation in the back of your throat like some can. The cookies are baked to perfection, just the right amount of chewiness. It's unreal and I wish I'd purchased more than one. 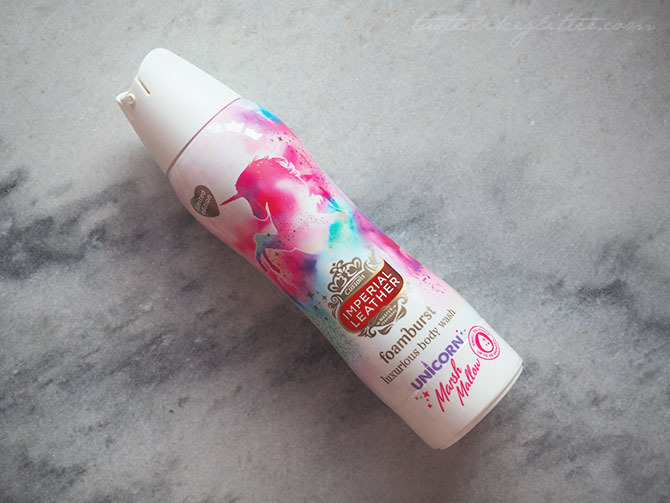 Keep an eye out for their Easter products that are coming soon and their next collaboration.